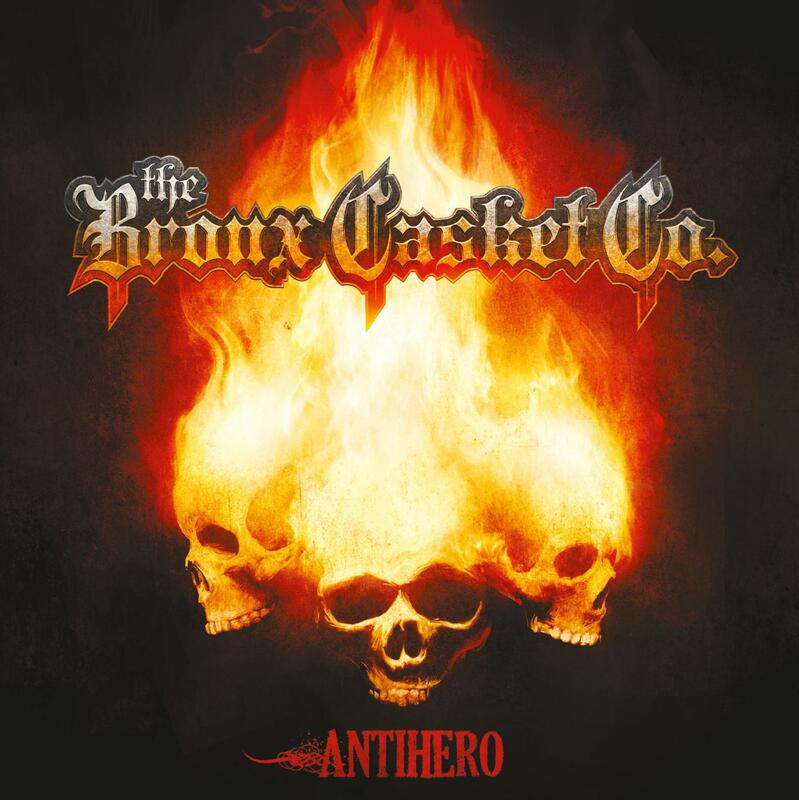 The Bronx Casket Co. - "Antihero"
ARTIST: The Bronx Casket Co. THE BRONX CASKET CO. was originally formed in 1998 by OVERKILL co-founder and bassist DD Verni. The first album – simply titled „The Bronx Casket Co.“ – was released in 1999. This debut got good reviews by both, journalists and listeners, and THE BCC could establish a fanbase which has grown more and more with the release of their second album “Sweet Home Transylvania”. 2005 marks the release of the bands third studio record “Hellectric” which combines the best parts of both previously released albums. Now there is a metal mix which sounds like Doom meets Gothic meets Hard Rock. Meanwhile THE BRONX CASKET CO. are preparing for the release of their fourth full-length album “Antihero”, which will be out in February 2011 on SAOL / H’Art / Zebralution. The album was prduced by Jacob Hanson (VOLBEAT) and features DD Verni for the first time singing all songs – beside playing bass and guitars. All guitar solos were played by Mike Romeo (SYMPHONY X).